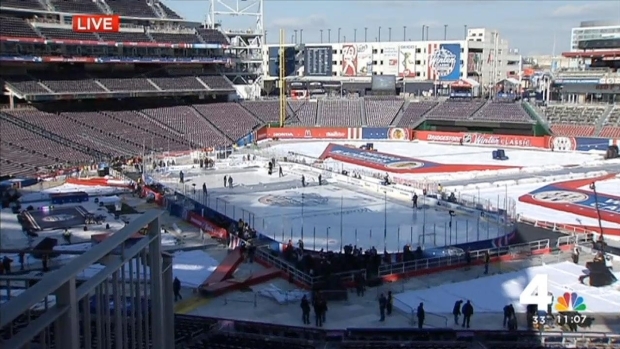 A beautiful, sunny New Year's Day in the nation's capital could cause a problem for the Winter Classic. The starting time of the NHL's annual outdoor showcase could be postponed, perhaps up to 90 minutes, because of a forecast that calls for lots of sun and few clouds. Faceoff is scheduled for 1 p.m. at Nationals Park for the game between the Chicago Blackhawks and Washington Capitals. "It would be more of a player-safety issue," NHL Deputy Commissioner Bill Daly said Wednesday. "The glare, if you're having trouble picking up the puck, I think there'd be a concern." It's almost here! The Capitals will take to the ice at Nats Park Wednesday in anticipation of Thursday's Winter Classic Game. The temperature should be seasonably cool -- highs in low 40s -- but the direct sunlight would also deteriorate the ice. Capitals players, meanwhile, spoke of trying to find the right type of eye black to wear, a seemingly appropriate dilemma for an event taking place on a baseball field. This week, the shadows from the baseball stands have covered most of the rink by about 2:30 p.m., so that could be an alternative start time. Daly said a decision won't be made until “as close to the game” as possible on Thursday. "Any delay -- and hopefully there won't be one -- would be a minimal delay," Daly said. The NHL has more incentive than usual this year to get the game going on time. For the first time, the Classic is sharing New Year's Day with college football games that have national title implications. A long delay could put at least part of the Classic head-to-head against the College Football Playoff semifinal between Oregon and Florida State. "Nobody wants to delay the game," Daly said. "So if there's any way we can avoid delaying the game, we're going to avoid delaying the game." 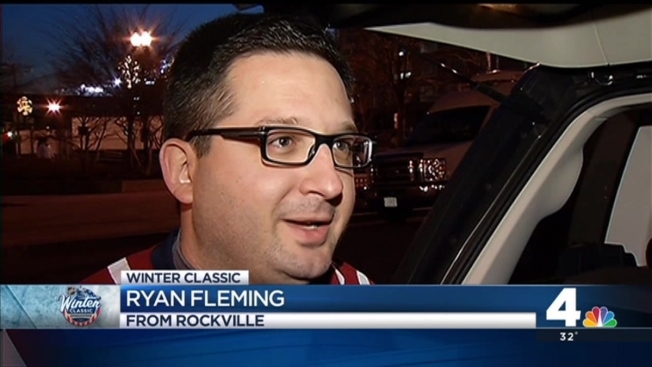 The Classic has had two weather delays since the inaugural game in 2008. The 2011 game in Pittsburgh, also involving the Capitals, was postponed until prime time because of rain, and the 2012 Classic in Philadelphia was delayed two hours because of sun.